How many times have you thought about irreparably splicing the genes of your family critter? Using Dr. Sticky's patented breed-em-and-weep technology, now YOU can have the critter of your wildest dreams! Looking for the stickiest critter daycare center this side of the River Styx?! 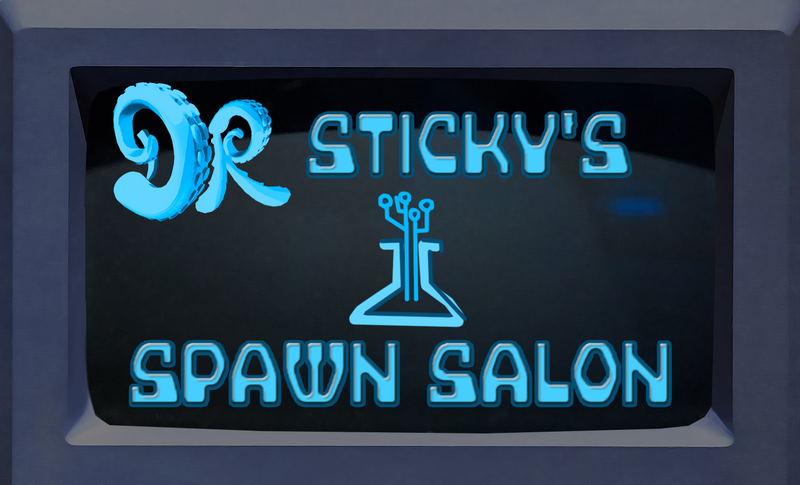 Look no further than the world-famous SPAWN SALON, run by none other than DOCTOR STICKY M.D. himself! Cleanse your life of all these fake hucksters and swindlers promising to apply valuable FASHION all over your beloved critters in their backwood "salons"! Now you can say GET YOUR DAMN HANDS OFF MY CRITTERS... and mean it! 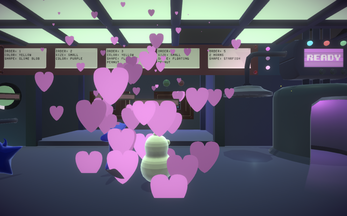 Left Mouse Button: Interact with STUFF in the salon. All day long, customers drop their critters off at the salon to be "customized". With each critter, you'll get an order form. This tells you what they want their critters changed into! While in the salon, critters have quite the experience! This changes them in many ways! 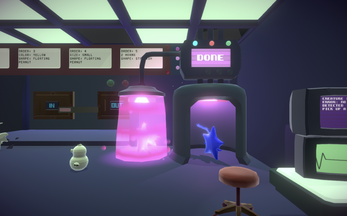 Explore the salon laboratory and figure it out! 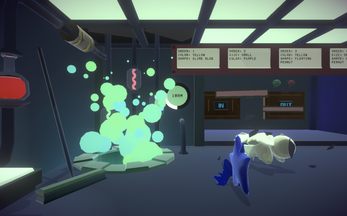 Once you've got the critter of a customer's dreams, click their order form and throw that shiny new critter spawn into the OUT hatch! 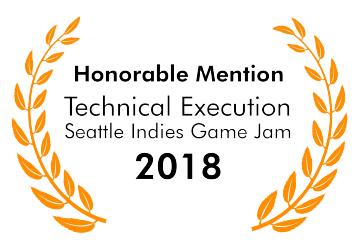 ... and we got LAURELS! Woooooooooooooooo! Excellent game! Are you guys going to expand it at all post-jam?